The Canon Diaries are ongoing explorations of Johann Pachelbel's famous chord sequence, as taught in the Musicarta Canon Project, and are principally for keyboard players who have worked through the download study programme. Musicarta's signature 'left-hand-over style' is a great way to play any chord sequence. You can see other examples on the Musicarta 'Mariaan' and 'Chords for Carl' web pages and on the Mister Musicarta YouTube 'LH-over Style playlist. Here is the YouTube video of the Canon chord sequence in LH-over style. It's been extended to four-strain AABA form, as discussed in Module Sixteen of the Musicarta Canon Project digital home-study download. The Canon Diaries learning module in the new edition of the Musicarta Canon Project shows the chord tones on keyboards as well as giving the music. Even if you are a proficient reader, the keyboards offer an opportunity to develop your ‘seeing the music in the keyboard’ skills. Here is the chord sequence of the music you've just heard. Here is the ‘skeleton’ music – just the basics, and before any keyboard texture is applied (excludes LH-over notes). To become a creative, ‘in charge’ keyboard musician, it is essential that you cultivate a habit of figuring (and thoroughly mastering!) out the basic elements beneath the music you hear. You need to ‘own’ this material in order to compose and improvise successfully. This Canon Project learning module shows the chord tones on keyboards as well as giving the music (as you see in the video overlay). Even if you are a proficient reader, the keyboards offer an opportunity to develop your ‘seeing the music in the keyboard’ skills. Note the voice movement diagram (VMD) between the right hand chords. These help you keep track of how the chord tones change to form the next chord. Voice movement diagrams are explained in the Canon Project home study work-book. 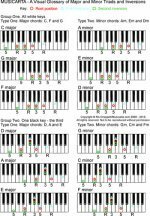 Musicarta’s many ways of ‘seeing the music in the keyboard’ present an ideal opportunity to learn to read music better by presenting the written-out music (MS – manuscript) for music you have learnt to play by rote. Here is a sample of the Canon LH-over MS.
Use these keyboard diagrams to start putting your performance together. There's a practice-speed four-bar repeating audio underneath (same as above). 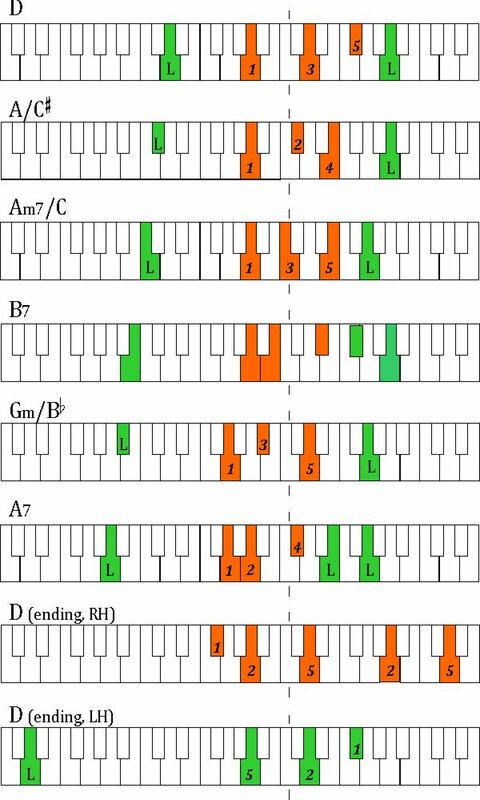 You see that the written music for the first four bars/hand positions has as series of 'B-M-T' indications under the typical keyboard pattern. 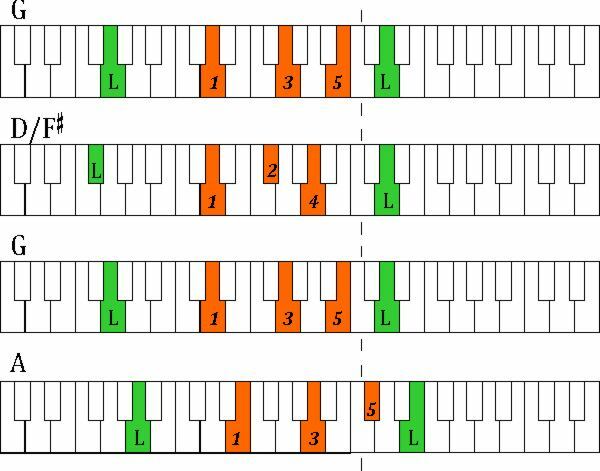 This bottom-middle-top (BMT) analysis shows you how to break up the notes of the right hand chord to fill a bar with pleasing, rhythmic music. Read this table notation alongside the written music and the audio/video performances, and you'll soon learn the pattern. 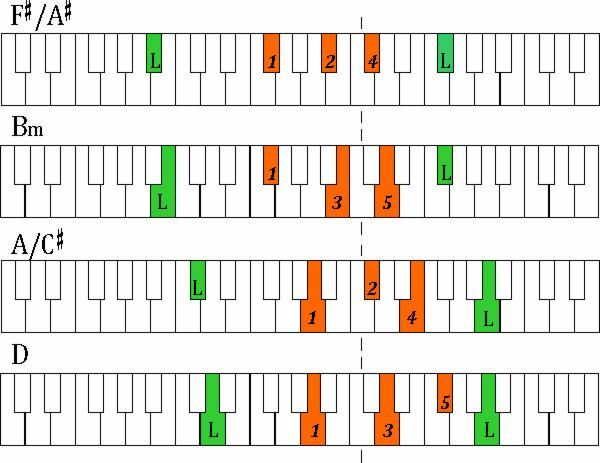 Here are the keyboard diagrams and practice-speed audio performances to learn the rest of the piace. Bars 9 to 16 will be the same as bars 1 to 8 - possibly with a slight variation. Copy the end of the video - same pattern three times. The Canon Project and the ongoing 'Canon Diaries' at Mister Musicarta YouTube offer the opportunity to work on a familiar and attractive chord sequence until your fingers themselves start 'doing the walking' - and you're suddenly composing spontaneously at the keyboard. Here's a version of 'Canon, LH-over style' with an alternative set piece ending variation. Here are the chords for the last strain. Once you've learned this generic ballad-style final phrase, you'll hear it (or slight variations on it) in lots of popular music. The following version, which has an alternative 'B strain' as well as the alternative ending. The new B section modulates abruptly into F major. 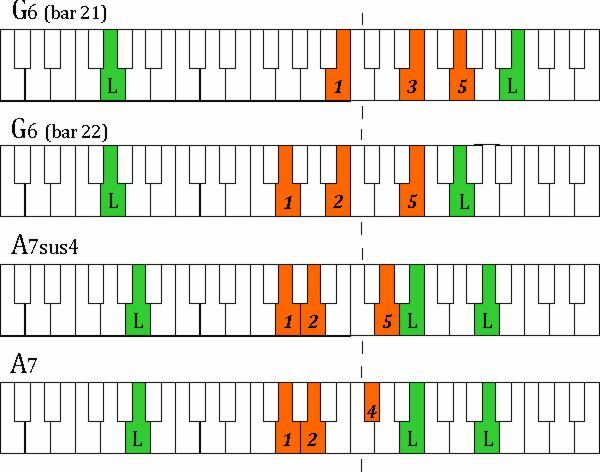 Pop songs often have a section in a different key which makes them sound more interesting, although the listener might have no idea why! The chords go practically wherever they wish. 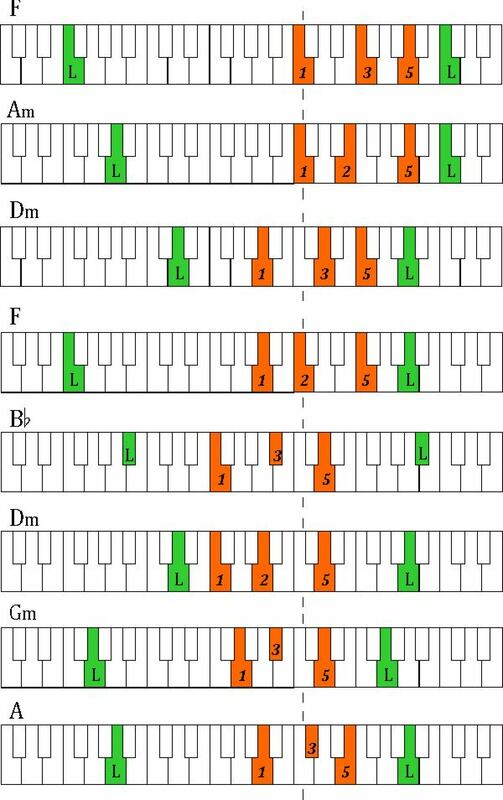 As they're all chords in the key of F, they'll sound fine together, especially if bound together with a chord-tone melody. The B strain modulates back via the A major chord (= V of D). Thanks for learning with Musicarta! Come back soon!